which will give you output as Amit. Unique key is nothing but the columns which are uniquely identifies the values.There are more than one unique keys for each table.The Entry of Null value is allowed in Unique key.Oracle does not permit you to create primary key and unique key on same column. 5.What is difference between varchar and varchar2 datatype? 6.How to represent comments in oracle? 2.Multiline comment/Block comment:When user wants to comment multiple line /* */ operators are used. Raw datatype is used to store values in binary data format.There are 2 types of RAW datatype.1.Raw 2.Long Raw. Long raw datatype is used to store graphics,sound documents.Raw datatype is variable length datatype like varchar2 but basically it only stores data in 1 ‘s and 0’s means binary data format. 10.What is Materialized View in SQL? 12.What is difference between Truncate ,Drop and DELETE? 1.Drop command is DDL command which is used to delete the object from the database. 2.We can not use the “ROLLBACK” after using drop command. 3.Drop command free’s the space of database object. 1.Truncate command is DDL command which is used to truncate the data from the database table. 2.We can not use the “ROLLBACK” after using Truncate command. 3.It free’s the space of database object but the structure remains same and memory of structure also remains same. 1.Delete command is DML command which is used to delete the records from table. 2.We can use Rollback to Rollback the records from the table. 3.Delete command not free’s the memory space. 13.Explain About DDL Statements of SQL? 14.What is DML in SQL.Explain DML Statements in Details? It is a collection of Inter-Related data. Records the data in HDD (Permanent Memory). Objective of DB is to record data & save it for future use. 17. What are tables and Fields? A table is set of data which is organized in to specific structured manner.Table is made up of combination of columns and rows.A table has specified number of column called fields but can have any number of rows which is called record. 18.Explain me about SQL joins? View is nothing but the virtual structure which is been created from using single table or multiple tables.If the logical structure is created from single table then it is called as Simple view.If logical structure is created using multiple tables using joins then it is called as Complex View. Indexing is nothing but the performance tuning mechanism which allows the fast retrieval of the records from table. 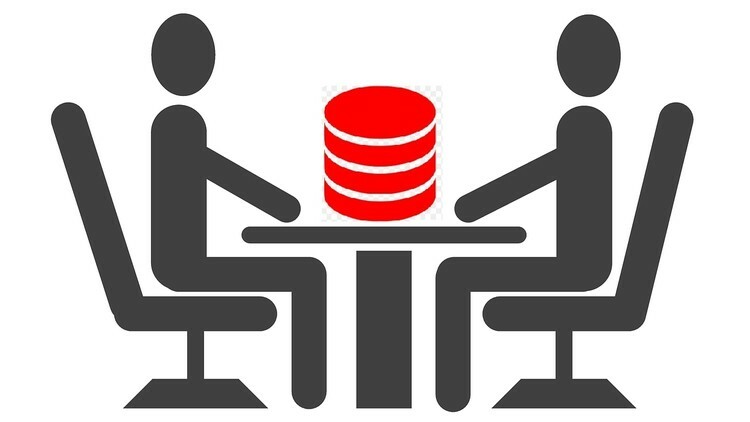 Hope you like this article on SQL Interview Questions for fresher.If You want the PDF for these interview questions kindly comment in comment section.. I sent you interview questions PDF on your mail id. Kindly check your mailbox..I sent you interview questions. Sure Harish!! I sent you the SQL interview questions. It would be great if you send pdf of all interview questions including(concepts+queries). Sure !! I will send you interview questions on your mail id!! Sure Tejesh!!! I will send you interview questions. sir pls sent pdf to my mail. I sent you interview questions on your id. I have sent you SQL Interview questions on your mail id!! Please send me the most frequently asked theoretical sql questions as well as queries asked in interviews. Also if you have any sql MCQs asked in written exams please do send me. Can you please send SQL interview questions for free to my email ID ? Kindly check your inbox for the same. sure ankita .I have sent you the PDF on your respective mail id. Previous Previous post: Query to Find Second Highest Salary Of Employee? Next Next post: Query to Find Monthly Salary of Employee if Annual salary is Given?